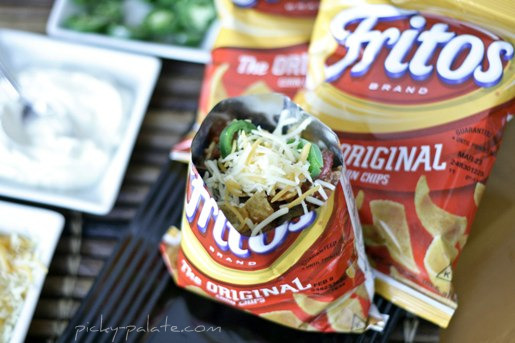 What do you get when you open a bag of Fritos or Doritos, and add meat, lettuce, sour cream, cheese and salsa in it? You get the most tastiness EVER! B & A Catering here in Birmingham offers this on their catering menu. I love it at a wedding! This is a great wedding trend that I hope we continue to see in 2012 and years to come! Thanks to Picky Palate for their photo!